1. 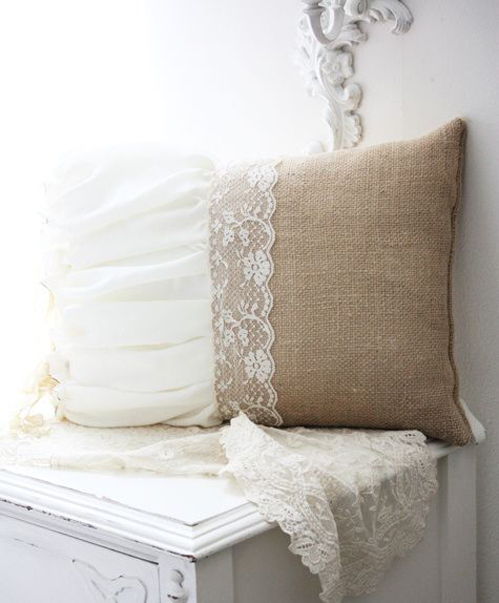 Throw Pillows- A lace dress is a great fabric for making a set of throw pillows for your bed. Added bonus, spray them with the perfume you wore on your wedding day to reminisce! 2. 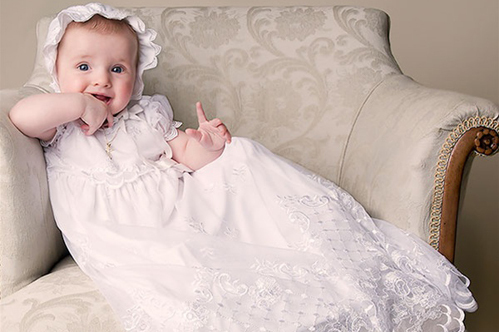 Christening Gown- Create a custom gown for your baby’s christening. It will become a family heirloom you can store away and pass on to them one day. 3. 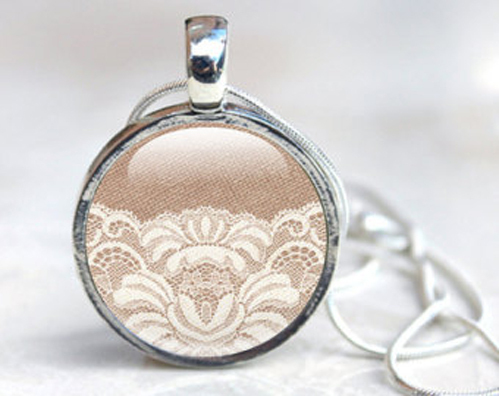 Jewelry- Wear your wedding dress everywhere you go! A craft store will have all the materials necessary to make an affordable pendant necklace that’s an easy DIY project. 4. Donate- Pass your beautiful dress on for a good cause! Bucci’s Bridal is hosting Brides Across America Nov. 14th and 15th which gives brides-to-be in the military or marrying someone in the military a dress for free! 5. Christmas Tree Skirt- Turn a ballgown into a gorgeous tree skirt, which could be embroidered with your wedding date, or even the year, to give it a personal touch. 6. Flower Girl Dress- Want a way to incorporate mom’s dress into the wedding? Create a flower girl dress with the material- plus it’s your “something old” turned into “something new”! Melissa, the owner of Bucci’s Bridal, is excited to bring a brand new bridal boutique to the Lake Country Area, right where she grew up! She enjoys meeting new people and loves hearing personal stories while helping brides-to-be find their dream dress for their wedding day.